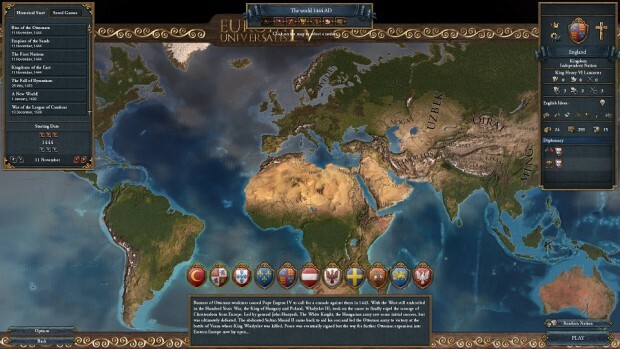 Paradox Interactive isn’t particularly known for its free-to-play offerings. It did publish Magicka: Wizard Wars, which didn’t exactly light the world on fire (though players did that to each other often enough), and this is its only listed full free game on Steam. The publisher/developer isn’t ruling out the possibility that that could change, however. In an interview with GamesIndustry, three Paradox executives weigh on on the company’s successes and the ways it could go in the future. CVP of Business Development Shams Jorjani admitting that the huge DLC catalogs for its games — particularly its grand strategy historical simulations like Crusader Kings II, Europa Universalis IV, and Hearts of Iron IV — can be intimidating to new players, especially after paying full price for a base game. Chief Product Officer Mattias Lilja said that Paradox sticks with the model “because it works,” and incoming CEO Ebba Ljungerud said that a reason for that is because the base games offer such robust and long-lasting gameplay, even without the additions of DLC. That last part might not quite be right. In April, Paradox gave away Crusader Kings II for a brief period of time. I picked it up and have been playing nearly every night for close to two months. I’ll definitely buy some DLC when the Steam Summer Sale rolls around, and others who picked up the freebie undoubtedly have already. So perhaps Paradox already has some insight into how giving away the base version of a grand strategy game can lead to future monetization.